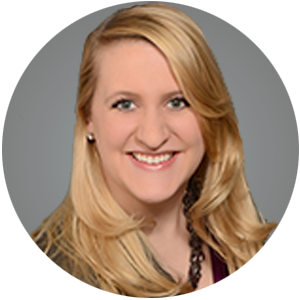 Aimee Morgan is the North Texas Multifamily Practice Leader for the Valuation & Advisory Services Group and is located in the Dallas office. She also leads the North Texas Self-Storage and Manufactured Housing Practices. Her North Texas team, comprised of eight appraisers and trainees all specializing in the valuation of multi-housing and self-storage properties. The North Texas Multifamily Team completes over 650 multifamily valuation assignments each year. While located in the Dallas office, Ms. Morgan assists clients nationwide and connects her clients with local experts in any market and for any property type. Ms. Morgan’s primary geographical location is the North Texas area, but she also has experience in many markets outside of the primary Dallas-Fort Worth Metroplex. Ms. Morgan has extensive experience in secondary markets such as Lubbock, Amarillo, Tyler, Oklahoma City and Shreveport. Since 2010, Ms. Morgan has specialized in the valuation of multifamily development. She has experience providing real estate appraisals, market analyses, complex consulting assignments and rent analyses. Further, she has extensive experience with the valuations of properties participating in the Low Income Housing Tax Credit and other affordable housing programs.